Camp Hill Solar Power System Installers. Experts in Solar Systems and Solar Battery Storage Camp Hill. GET A FREE SOLAR QUOTE TODAY. For the best advice talk to our local Camp Hill Solar System experts about what size solar system you’ll need and learn more about the total solar savings achievable for your home or business. Hi, I’m Mark. I am an electrician, solar designer/installer, and the proud owner/manager of MC Electrical. Choosing the right company to “Go Solar” with can be difficult. I invite you to have a look around my website, read my solar blogs, check out our staff and view our solar pricing. 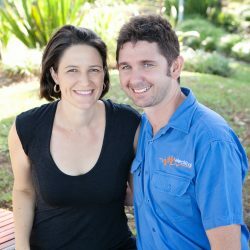 Find out why we claim to be one of the best solar companies in Brisbane. Check out our full range of products and solar panels and get expert advice, we are one of the few fully approved QLD CEC Solar Retailers with decades of experience in solar. When you are confident, pick up the phone or contact us online. Get a free measure & quote – I can assure you my team won’t disappoint! MC Electrical Camp Hill Solar Power team are accredited as master electricians, experienced solar installers & designers. We are experts in solar systems and solar battery storage solutions. Talk with MC Electrical about your solar needs and get an obligation free Solar Quote. Learn more about our 3kw & 5kw solar system prices. MC Electrical provide Trusted, Local, Reliable & Affordable Solar Energy Alternatives. “We Know Solar”! Find out why we are rated as one of the best solar companies in Camp Hill and Brisbane. Contact our Camp Hill Solar Installers for this months Solar Power System Specials & view our Solar System Prices. Contact MC Electrical for the best Solar Power System Package in Camp Hill. We are proud of our solar team who ensure accountability and guarantee quality solar installations for every Camp Hill residential home or business. Talk with our energy experts today regarding the best Solar Power System Price for your home or business. No-hard sell – just expert advice ! Fill out our free online quote form or give us a call and speak with a Solar Power specialist. Get a custom designed free solar quote with no-obligation or hard sell. Our solar experts will explain all your solar power options and will customize a green energy solution that’s right for you. We don’t use sub-contractors and offer customers a 10 Year workmanship warranty! We will design a custom solar power solution just for you! Our team will do all the paperwork for solar rebates, incentives and complete grid connection on your behalf. We are local & trusted with a reputation for quality. Enjoy your new complete Solar Power system and start saving money on your energy bills. With MC Electrical getting solar panels couldn’t be any easier. We will be around to service any warranty issues or system upgrades! READ OUR SOLAR BLOG : Find out why Mark is so well regarded in the solar industry and learn from his expert technical knowledge.